After nearly four years of legal proceedings, Kent Literary Club’s lawsuit against the University has reached the Connecticut Supreme Court. The case between Kent Literary Club (KLC), Delta Kappa Epsilon (DKE), and the University began in February 2015 after DKE was removed from 276 High Street following its failure to submit a satisfactory plan to implement University-mandated coeducation. The case received its first ruling, in favor of plaintiffs Kent Literary Club et al., from the Superior Court of Middlesex County in June 2017. The decision of Judge Edward S. Domnarski stated that the University had, among other things, violated the Connecticut Unfair Trade Practices Act (CUPTA) when it forced the closure of DKE’s High Street residence. The court ordered the University to pay $386,000 in damages, as well as $411,363 in attorney fees and costs, for a total of nearly $800,000. Shortly after this ruling, the University motioned for review in the Appellate Court. On Dec. 18, at the request of the University, the Connecticut Appellate Court transferred case AC 41181 to the Connecticut Supreme Court in order to expedite the proceedings. As the University awaits what they hope will be a victory in the Supreme Court, DKE and KLC continue their attempts to negotiate a deal with the University. According to President of the KLC DKE Alumni Group, Gary Breitbord ’79, the plaintiffs have made several attempts to communicate with the University, all of which he says have gone unanswered. 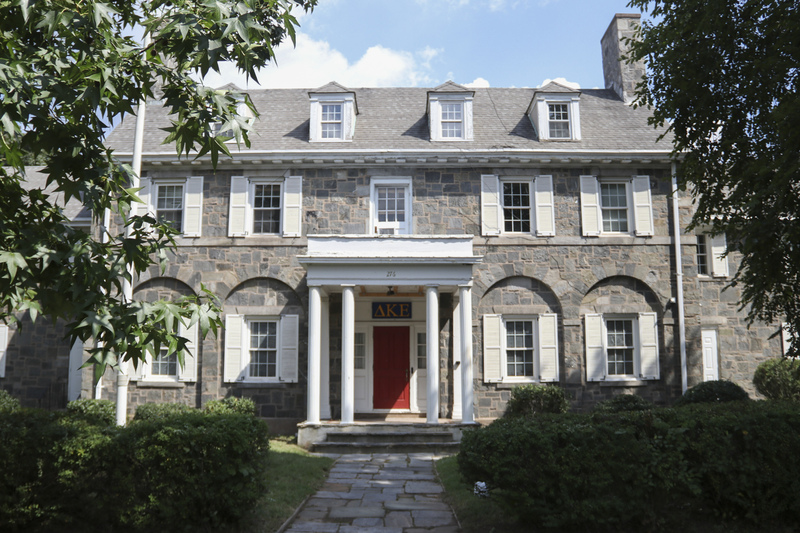 In an attempt to negotiate with the administration, DKE has acquiesced to the University’s demand for male-female integration of 276 High Street, which they believe should satisfy the University’s concerns. While President Roth’s office refused to comment on the 2015 coeducation proposal, the University previously showed concern over DKE’s plan for a “separate yet contiguous living space” for men and women, a plan that remains unchanged. In a brief filed in April 2015, the University contended that even though DKE did eventually devise a legitimate co-education plan, the plan was provided far too late to satisfy the University’s housing contract requirements. As such, the University argues that it is under no obligation to reinstate DKE’s program housing status. Although this claim was denied by Judge Domnarski, the Supreme Court’s ruling could have a different outcome. While the case is pending, DKE is left without a permanent place to congregate. Robertshaw insisted that while DKE hopes to regain access to their house, members remain more focused on their role within the community than on the status of legal proceedings. For Breitbord, however, access to 276 High Street remains the primary concern. He expressed dismay over the protracted dispute, which he claims could have been resolved if not for President Roth, who Breitbord believes is responsible for impeding the process. He cited a July 2014 letter from nearly 50 former trustees and chairpeople urging President Roth not to pursue a case against DKE, which the administration ultimately disregarded. Breitbord cites this letter as just one example of Roth hindering negotiations. Despite the prolonged process, KLC remains hopeful. If the Supreme Court upholds Judge Domnarski’s decision, they hope to make a remodeled 276 High Street available to undergraduates as early as Fall 2019. The University declined to comment on these plans or any other matters concerning the ongoing lawsuit. The case will be brought before the Supreme Court during its sixth term, which runs from Feb. 19 to March 1. A decision is expected this summer at the earliest.